Tracey Neville on her role as head coach of the England netball team. How difficult is it for women to progress as barristers? Galentine's Day. The importance of vaccinations. 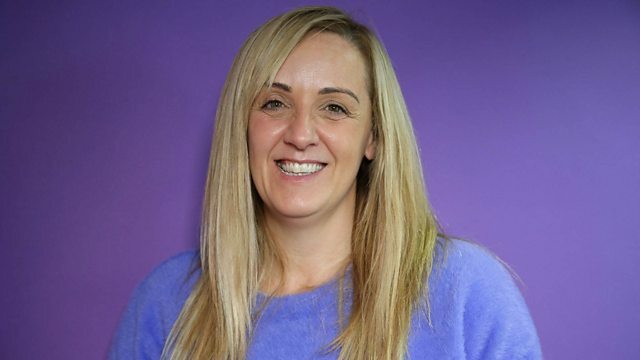 Head coach of the England netball team, Tracey Neville tells us about her work to get netball recognised as a professional sport. New research shows almost two thirds of those who left the Bar on the Western Circuit over the last six years were women. Why is it so difficult for women to progress in a career as a barrister? We hear from Sarah Langford who specialises in criminal and family law and Arlene Small, a specialist in family finance and children work. Cases of measles in Europe have tripled between 2017 and 2018 the highest recorded this decade according to the World Health Organisation. Helen Bedford, Professor of Children’s Health at UCL Great Ormond Street Institute of Child Health and Samantha Vanderslott a social sciences researcher at Oxford Vaccine Group discuss the recent outbreaks in America and why some parents are reluctant to get their children vaccinated. The day before Valentine's Day has now become Galentine's Day, a day to celebrate female friendships. Claire Cohen Women’s Editor at the Daily Telegraph and Rachel Pashley a marketing consultant and the author of New Female Tribes discuss the marketing of gal pals. Breast ironing is a way to stop teenagers' breasts from growing. It’s painful but mothers in some communities call it tradition and believe it will protect their daughters from sexual assault. It happens in some African countries but has been recorded in the UK too. Milly Kerr from the National FGM Centre tells us what the UK government is doing to tackle this form of child abuse. The textile artist Clare Hunter tells us about the importance of sewing when it comes to protest banners and story telling tapestries. Fran Thomas, who can have up to 15 epileptic fits a day, tells us how her seizures are linked to her menstrual cycle. Dr Simona Balestrini, an epilepsy expert, explains why new research should bring better and new treatment options to women.